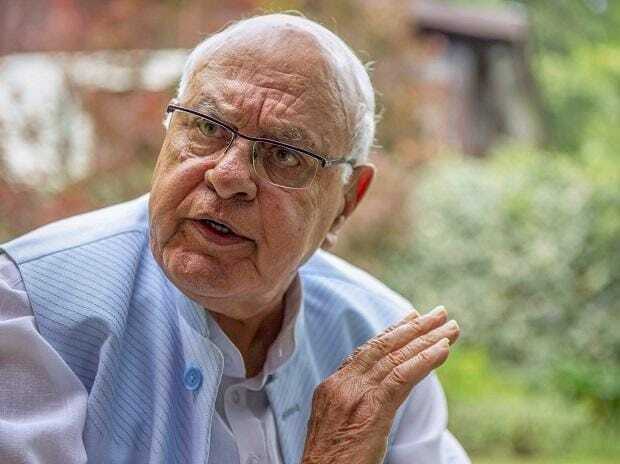 Former Jammu and Kashmir chief minister Farooq Abdullah Thursday had a piece of advice for Prime Minister Narendra Modi - be tolerant like Atal Bihari Vajpayee to ensure acceptance by all people. Speaking at an event in Jammu, the National Conference patriarch also accused the BJP of following a divisive agenda. He said that the BJP claims Lord Ram is theirs but according to holy texts, "Bhagwan Ram belong to the entire universe and not Hindus alone". He went on to add, "Please inculcate sense of tolerance, Prime Minister sahib. If you have to run this country, you have to be tolerant and ensure acceptance by others. All have to be taken along, if you have run this country. Be tolerant like Vajpayee ji." He claimed if the country is united today "it is because of Nehru". "We would stay safe in our houses but jawans would lose their lives. We do not need to have war with China and Pakistan. We want those countries should also make progress and become prosperous," he added.